OK, so I was a little skeptical at first when I thought about making Chili Cheese Enchiladas. It might be because I’m a purist, or a snob. Or a punk. Most likely a punk. 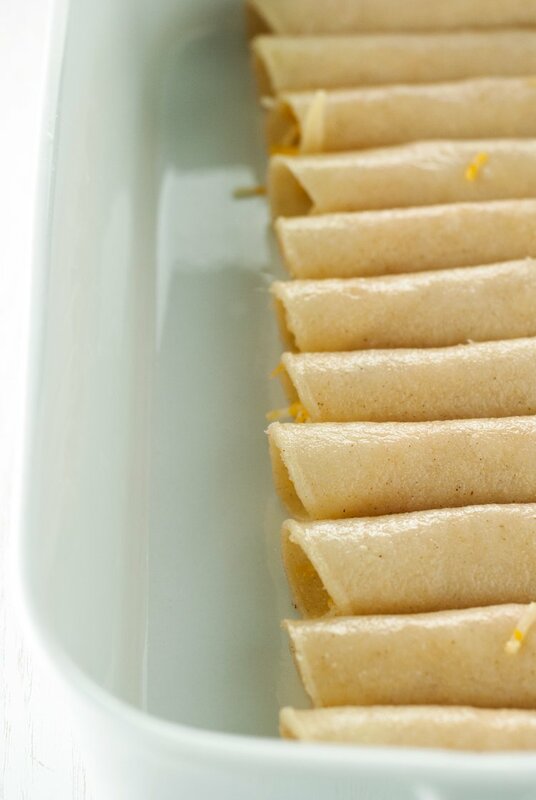 But I couldn’t wrap my head around enchiladas that were so simplistic, because, I mean, hello, there are only like…three ingredients. Cheese. Chili. Tortillas. Onion. OK, so that’s four ingredients. Clearly I need to work on my math skills. Zomg. This dish? It’s pretty much the best thing ever. IT IS SO DELICIOUS YOU GUYS. I snapped it (asimplepantry) the other day with my husband, and it ended up being my most popular snap series to date. Sooooo many screenshots. But soooooo totally worth it. It’s the simplest lazy dinner around. And perfect for feeding a crowd of hungry football fans, too, cause, FOOTBALL. I totally meant to save the snaps for this recipe, but I of course forgot, because I’m special like that. Like my other enchiladas, you need to very lightly fry the tortillas before you roll the enchiladas. Just five seconds in hot oil gives them ridiculous strength, so they don’t crack, break, or crumble when you roll them. We also preheat the chili on the stove, because if you just dump it over the enchiladas without heating, it will take forever in the oven and burn the cheese. That would not be cool. I am not down with destroyed chili cheese enchiladas. This entire dish is ready in 30 minutes, which makes it perfect for weeknights, or when you need to feed a crowd, fast. I’ma be making these bad boys for the big game, that is for certain. 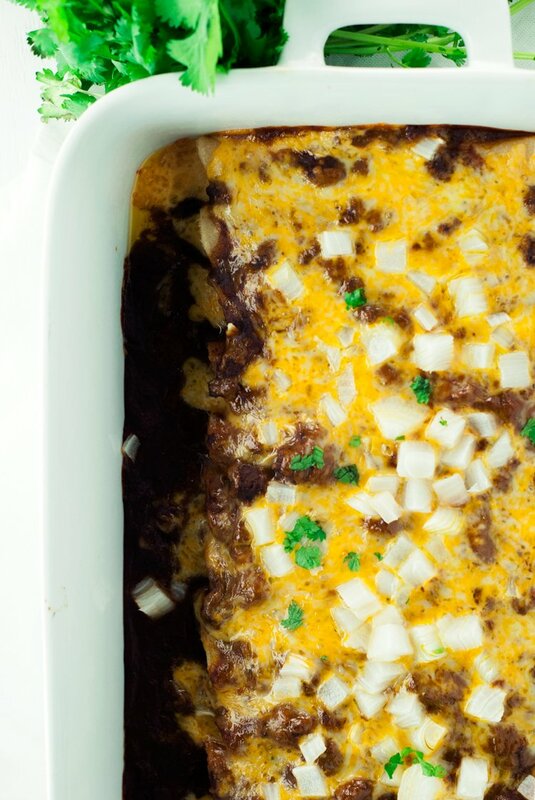 You just can’t beat the deliciousness of chili cheese enchiladas. Nope. 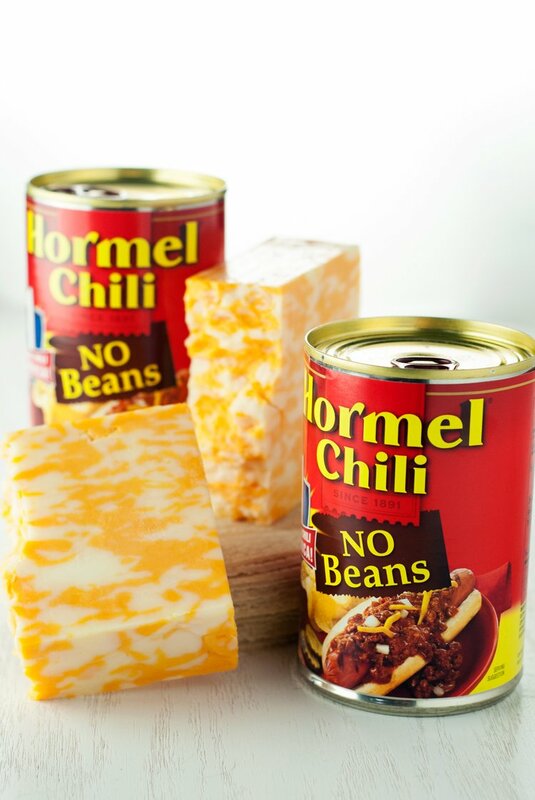 As if you don’t need more incentive to make this beautimous dish, you can also grab a coupon for Hormel Chili and save some cash! Holla! Preheat oven to 350 degrees. In a medium saucepan, add the chili and heat over medium low. In a small frying pan over medium, medium-high heat, heat about 1 inch depth of canola oil. Once hot, quick fry each tortilla for five seconds, then stagger on a paper towel-lined plate. 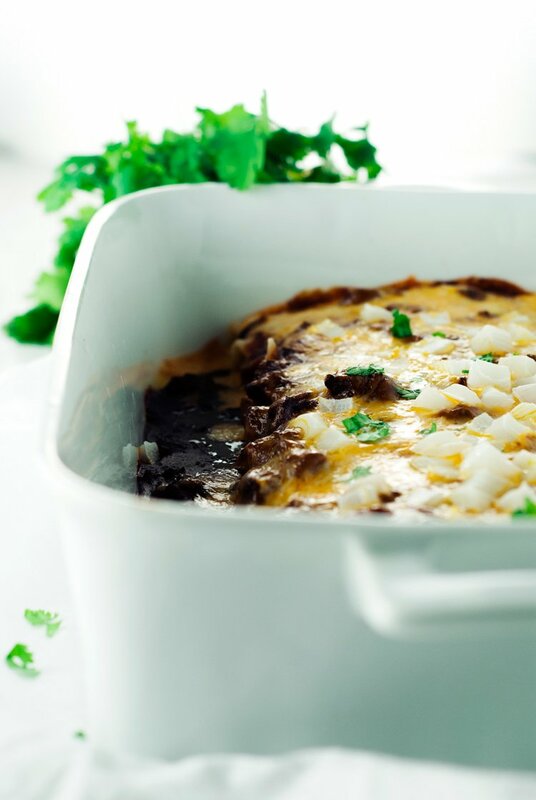 Place roughly 2 tablespoons of shredded cheese on a tortilla and roll tightly, then place in a 9x13 casserole dish. Repeat until all tortillas are used. 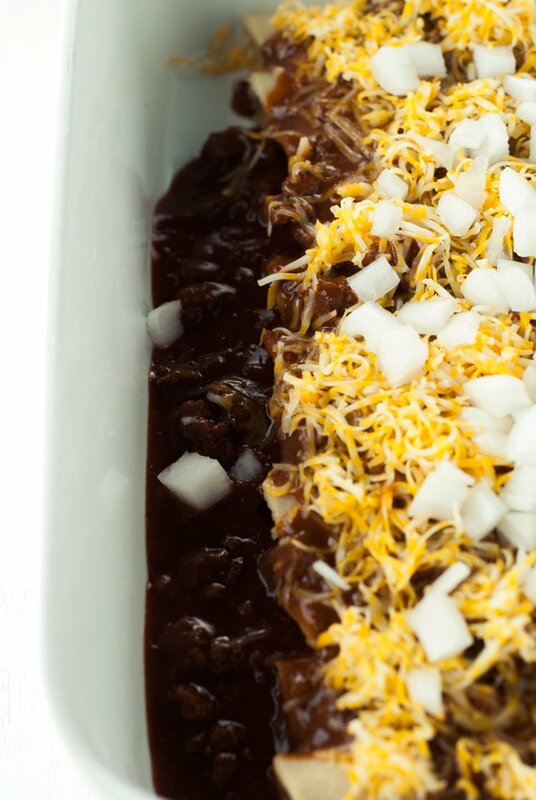 Pour the warmed chili over the enchiladas, coating them completely. Sprinkle with leftover cheese, then add the chopped onion. 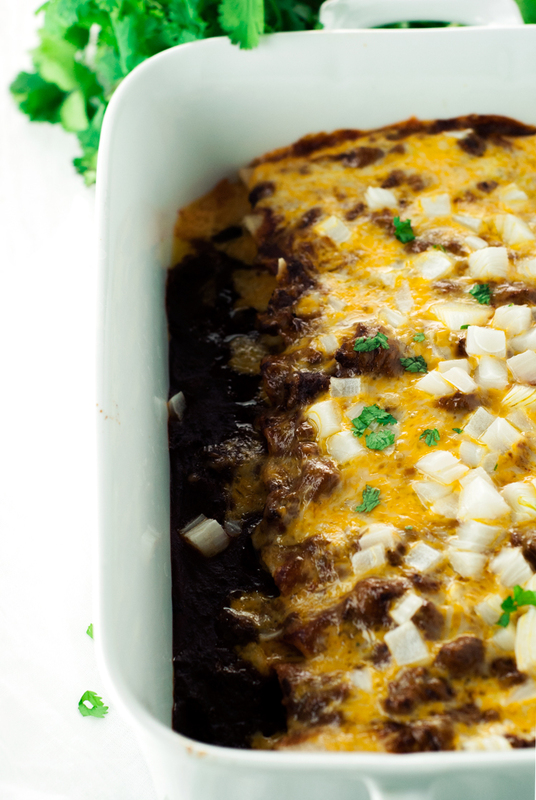 Bake for 15-20 minutes, or until the cheese inside the enchiladas is completely melted. Garnish with cilantro and serve immediately. Now this is what I call a fast and tasty meal.